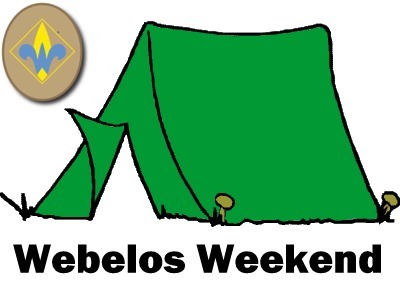 Webelos Weekend is an introduction into Boy Scout resident camping. Both weekends are held at Camp Wolfeboro, the Mt. Diablo Silverado Council Boy Scout Camp located in the Sierra Nevada Mountains. It is an opportunity to give your Webelos a chance to see what Boy Scout summer camp is like. The Scouts and their parents (no siblings) show up at 6:00pm Friday night at the top of the hill where they meet the camp truck to load your gear to take down to camp. Estimate a travel time between 3-4 hours from the Bay Area. The road into camp is DEFINITELY A 4X4 ROAD and should not be attempted by family vehicles. IT IS RECOMMENDED THAT YOU JOIN OUR STAFF MEMBERS ON A HIKE THROUGH THE FOREST TO GET TO CAMP. BRING A WATER BOTTLE AND GOOD WALKING SHOES OR BOOTS. Meals will start on Saturday with breakfast and end with breakfast on Sunday. Families are encouraged to eat dinner on the way up to camp Friday night. Friday night, after the Wolfeboro staff show you to your assigned campsite, the Webelos are invited to come and join the Boy Scout campfire for a night of songs, skits and brotherhood. Saturday will be kicked off with morning flags followed by breakfast. After that the Scouts will have the opportunity to go to all of the camp program areas and participate in activities. Camp Wolfeboro runs on an open schedule, which means that your Scouts are welcome to go to any area during program time and participate. All of the Scouts are welcome to stay in any program area as long as they like; however we do recommended that they try and visit every area so they can get an idea of all Camp Wolfeboro has to offer. The program areas that will be open are Scout Craft (Scout Skills), the Nature Lodge, Handicraft, Archery, BB Guns, Swimming, Row Boating, Canoeing and let's not forget the evening CAMPFIRES! Saturday will be wrapped up with a campfire devoted solely to the Webelos. Have your Scouts bring up ideas for skits and songs. We would love to have them perform in our campfire, but remember they must be Scouting appropriate! 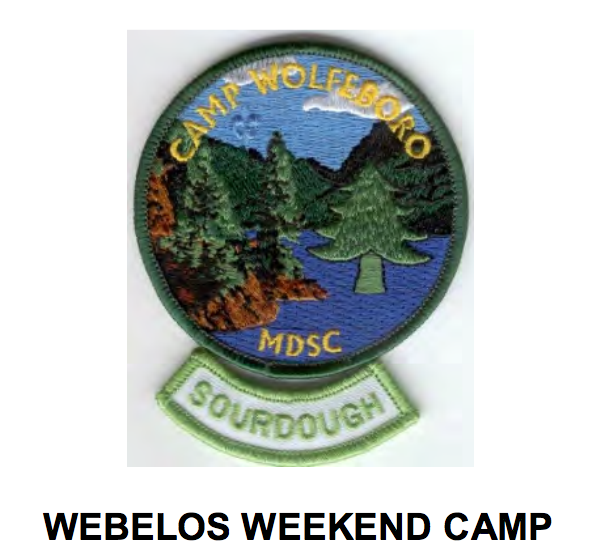 After breakfast on Sunday the Webelos will be given an opportunity to pack up their gear and load it on the camp truck. Check out time will be 10:00am Sunday morning followed with a brisk walk through a pine forest. a great place for you to tell a story and let your users know a little more about you. This event brought to you in part by YOUR Friends of Scouting contributions. Thank you! Arrow of Light parents (no scouts please) should plan to attend the Meridian Roundtable meeting on October 13th. Learn more about the transition to Boy Scouts and meet representatives from Troops in your area. While joining a particular Troop is generally a Scout's decision, this event will give parents an opportunity to meet briefly with many Troops and narrow down the search on behalf of the Scout. Each Troop has its own personality and areas of extra focus such as: Leadership, Reverence, Outdoor activities, Service to others, etc. and this event will allow parents to find Troops that meet the Scouts interests, family values, and favorable meeting location (i.e., close to home, at my son's future Middle School, or at our Church). Most families narrow their search to 3 or 4 Troops before they start attending Troop recruiting events. Online registration for the October 1-2 or November 5-6 Webeloree will open on August 15th. This popular overnight camping event for 4th & 5th graders and their parent can fill up in less than a week, so sign up early ! Enjoy beautiful Camp Herms and work on two required Adventures (First Responder and Camper) and an Elective (Adventure in Science). More info on the district website. Webelos II parents (no scouts please) should plan to attend the Meridian Roundtable meeting on October 22nd. Learn more about the Webelos to Boy Scout transition and meet representatives from Troops in your area. Online registration for the October 3-4 Webeloree is now open! Registration deadlines for the Oct 3-4 and Oct 24-25 events are 9/21 and 10/12 respectively but both of these popular overnight camping events for 4th & 5th graders and their parent(s) can fill up in less than a week, so sign up early ! Go online at http://www.bsa-mdsc.org/events/cub-scout-events/webeloree to register. (Click on the green arrow on the bottom right to view the October event). Enjoy beautiful Camp Herms and work on four Webelos/Arrow of Light Adventures from the new program (Aware & Care, Into the Woods, Earth Rocks, Camper). More info on the district website. Online registration for the September 20-21 or October 4-5 Webeloree is now open! Registration deadlines for the September and October events are 9/8 and 9/22 respectively but both of these popular overnight camping events for 4th & 5th graders and their parent can fill up in less than a week, so don’t procrastinate! Go online at http://www.bsa-mdsc.org/events/cub-scout-events/webeloree to register. (Click on the green arrow on the bottom right to view the October event). Enjoy beautiful Camp Herms and earn four activity pins (Scientist, Showman, Readyman, Outdoorsman). More info on the info sheet, flyer and MDSC website. 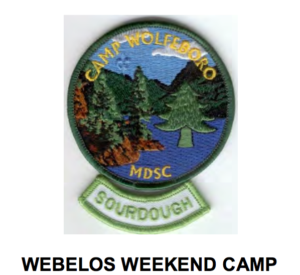 All incoming 4th and 5th grade Scouts are invited to attend Webelos Weekend - an introduction into Boy Scout resident camping. Both weekends (7/4-7/6 and 7/25-7/27) are held at Camp Wolfeboro located in the Sierra Nevada Mountains. This is a great opportunity to give your Webelos a chance to see what Boy Scout summer camp is like. The open program areas are Scout Craft Skills, Nature Lodge, Handicraft, Archery, BB Guns, Swimming, Row Boating, Canoeing and a campfire devoted solely to the Webelos! Cost is $100 for each scout and accompanying adult if registered by 6/28 or 7/19 respectively, $125 after. Meals are included. Visit the Council's website for more info. Anyone out there need to earn a Naturalist badge? During this hike, learn about birds, flyways, food chains, and the importance of wetlands. The Widelife Refuge Headquarters offer Webelos programs for up to 15 Webelos. Date/Time: Saturdays, March 22, April 6, & May 18, 10:00 a.m. – 12:30 p.m. Attention Webelos! 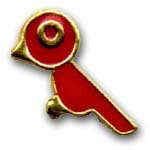 Earn your naturalist badge in just 2.5 hours! All programs are led by June Smith. Be sure to register early as this program is hugely popular ! Date/Time: Saturdays, December 14 & February 15, 10:00 a.m. – 12:30 p.m. The Black Diamond Mines Regional Reserve in Antioch offers a weekend program that helps Webelos earn the Webelos Geologist Pin. The program takes 1.5 hours and is offered through November.